As Professional Web Design and Developers, in Lagos Nigeria. t2eVentures is the Professional Web Design and Developers company in Lagos Nigeria. As Professional Web Design and Developers, in Lagos Nigeria, we provide solutions for Companies, Institutions, Agencies, Schools, Religious bodies and Individuals in Nigeria and worldwide. We specialize in Web design & Web development, eCommerce, Branding design, Graphics Design, Customized web applications, SEO Services, Web Hosting and Domain Registration, Website maintenance, Content Management System (CMS) and much more. We have helped companies to build their brand. Our team of professionals are ready to deliver unique service with a professional touch for your organization. 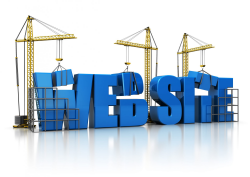 Let Us Build Your Site Today! Copyright © 2015. t2eVentures. All Rights Reserved.